One of the best ways to execute online marketing is through emails. An efficiently drafted mail to your most esteemed group of clients can cause tremendous impact to your business. Yes, mails can be irritating and most of the time mails are randomly sent out which are highly ignored by the customers. The reason can be many; one being, too many unwanted mails creates clutter. If you want to standout, your way of promotion should also standout in the crowd. Therefore, one has to be tactful in composing an excellent mail so that it grasps the sight of the clients immediately. Nowadays, most of the emails are opened and read through mobile phones. Your web designer should create email format that operates perfectly in both web and mobile settings. 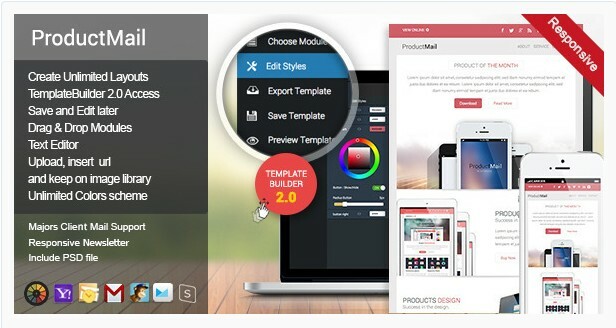 To make your work easy, find below exclusive email templates. 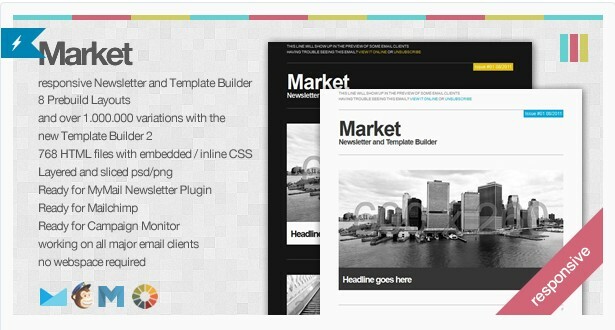 These HTML responsive templates are quick to download and work effectively with any operating system. They are free for downloading and can be customized as per to your choices. 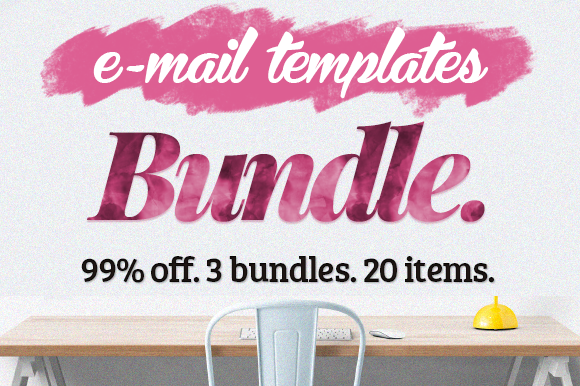 These email templates save your time of designing and creating a template from the scratch. 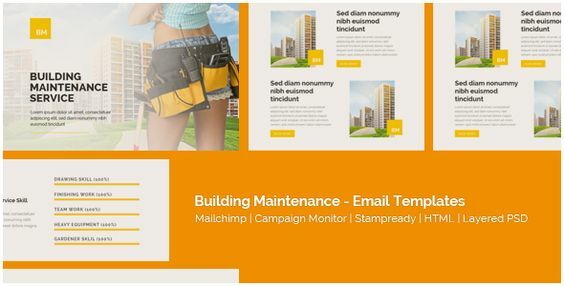 Irresistible colors and layout; newsletter formats, promotional emails and other forms of email you generally require for your company is available here. 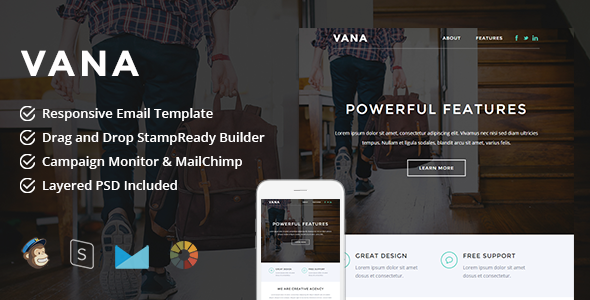 Host Responsive e-mail template designed for multipurpose bussines. Host is modern and minimalism, best to gain new clients or customers. 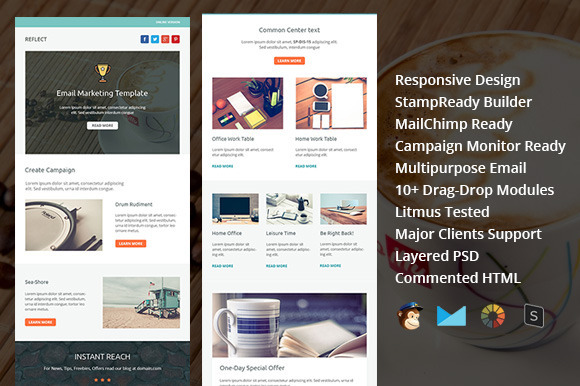 It also have bunch of feature like stampReady e-mail template builder (drag n drop), MailChimp ready templates, and CampaignMonitor templates ready templates are also included. 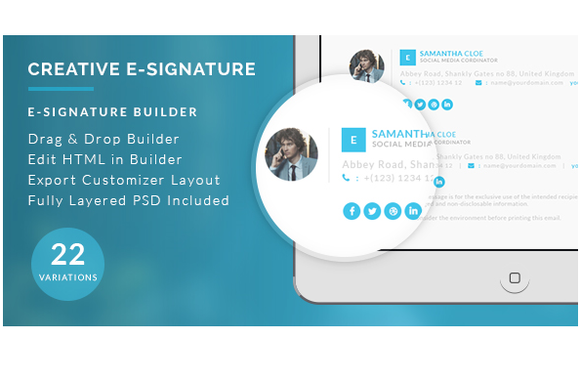 Carefully crafted to make it compatible with All device and almost all e-mail clients. 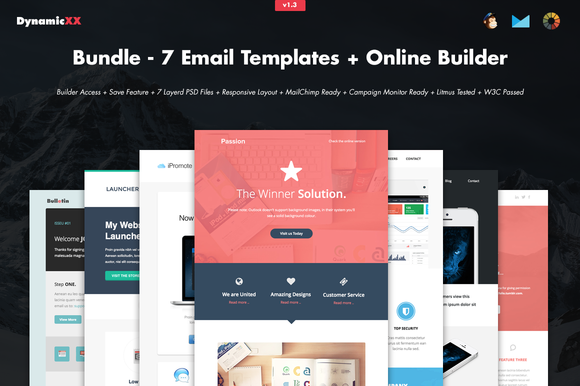 If you have vision to reshape the world, then this is the best e-mail campaign design for you. 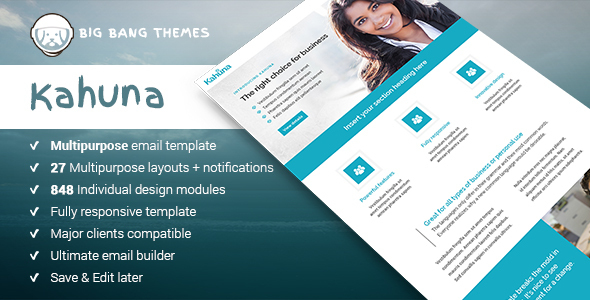 We’re confident that you’ll soon find out the fact that Kahuna is the most versatile and complete email template available on the market. 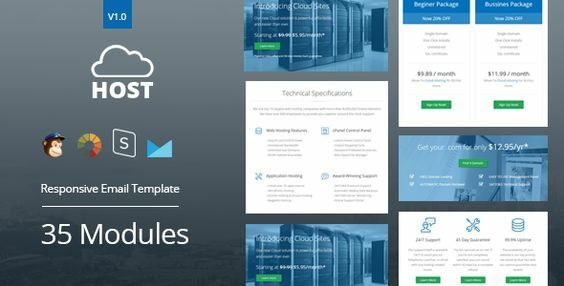 With literally over 450 completely different modules and the new BigBangThemes builder, this email template is certainly going to set a new standard of expectations for you and for your clients needs. 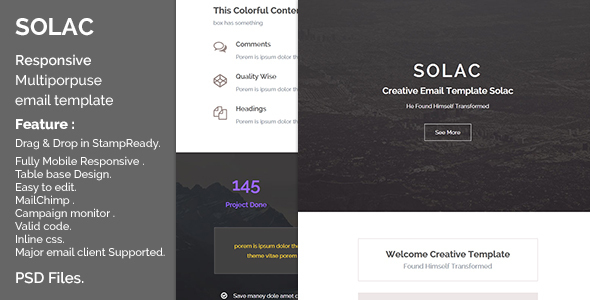 Kopi is a minimalist, responsive email marketing templates pack with bunch of features. Suitable for restaurant ccampaign or any other email marketing campaign. 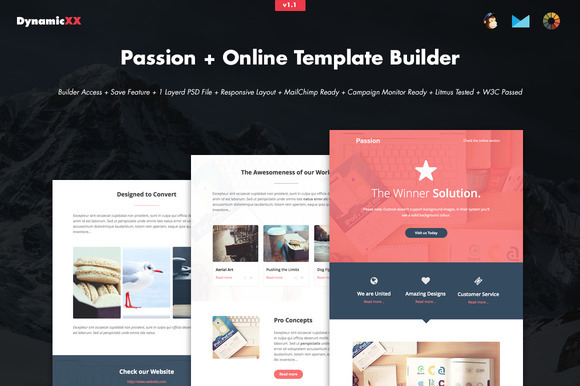 Free online template builder / editor access, MailChimp ready templates, Campaign Monitor ready templates, and MyMail ready templates are also included. 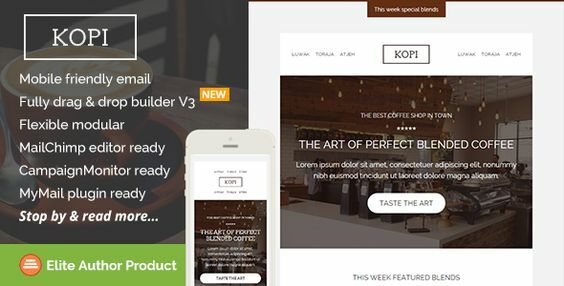 Kopi is suitable for your upcoming newsletter campaign, comes with flexible and repeatable modular, you can arrange the layout and build your own unique template easily. Kopi is also major email clients compatible, from old Outlook, uo tp modern mobile inbox like iPhone mail, Android. More than that, it’s also packed detailed help documentation, along with video tutorials. This template is only compatible with Photoshop. Basic Photoshop editing skills are preferable for editing this product. 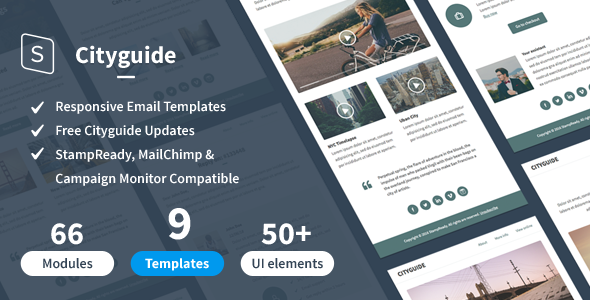 A* Email Template is a beautiful, slick flat design responsive email template that can be used for anything from email newsletters to ecommerce email marketing and much more. 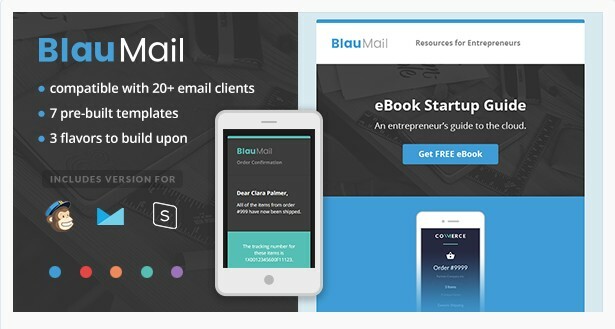 BlauMail is a responsive email template for building cross client emails. 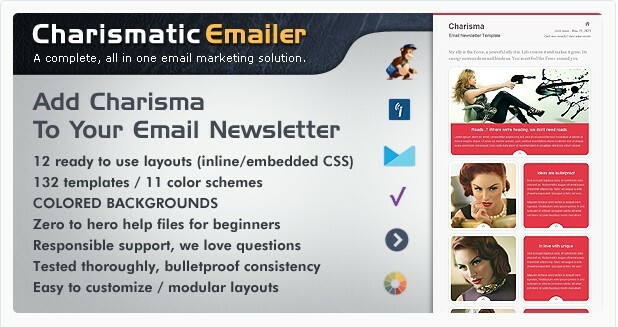 Charismatic email newsletter is an extremely cool email template and surely adds charisma to your newsletter marketing campaign with clean and minimal design. 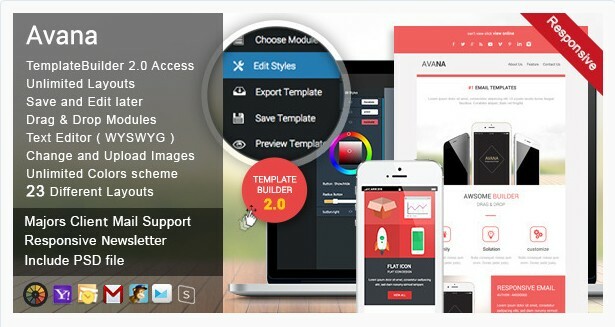 Easily suits mobile devices, browsers and desktop email clients. 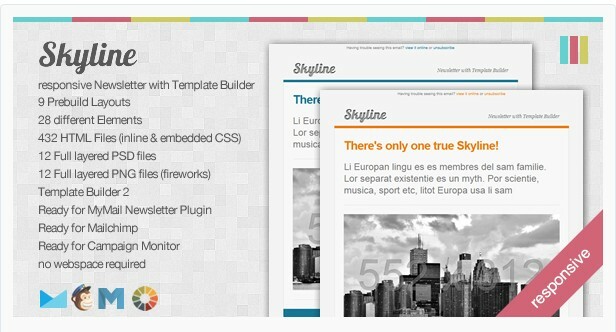 Comes with 11 color themes, 12 ready to use prebuilt layouts for each. Hosting companies, shopping, online business, fashion, portfolio galleries, photography, marketing, design agency, computer hardware & software, communications, financial services, technology & hi-tech, etc. etc… Possibilities are only up to your imagination. 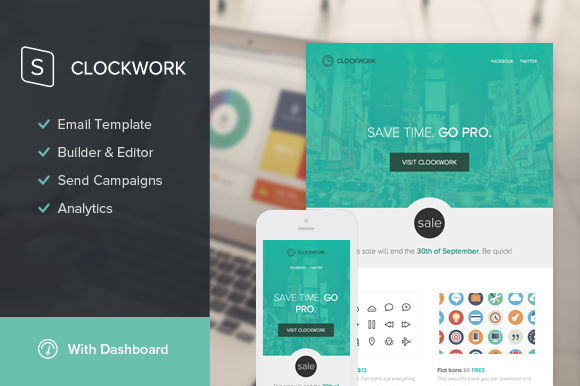 Clockwork is a beautiful and responsive email template that provides you 8 modules to combine in every structure you like. 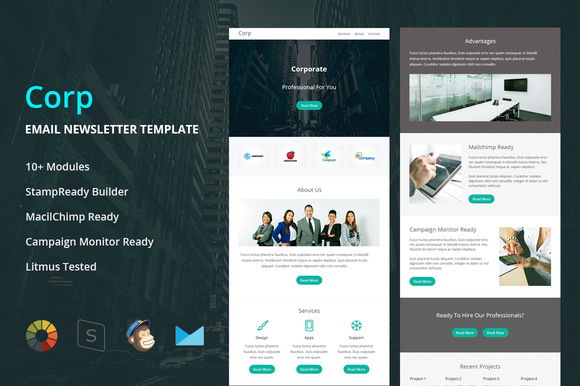 Corp- Multipurpose responsive email template is suitable for Mobile App, business,corporate, office, creative and general purpose. 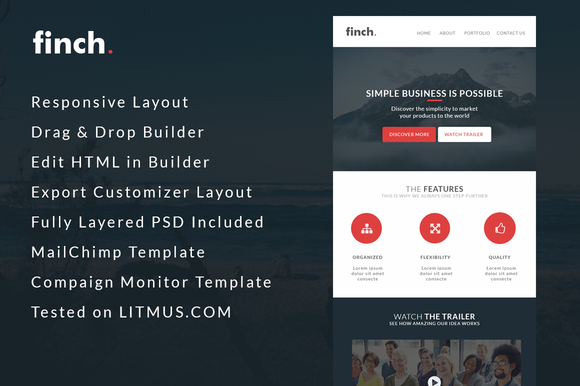 Finch is a clean, professional, responsive PSD Newsletter template.This theme is perfect for a wide range of business types, so you can reach todays markets and maximize ROI. 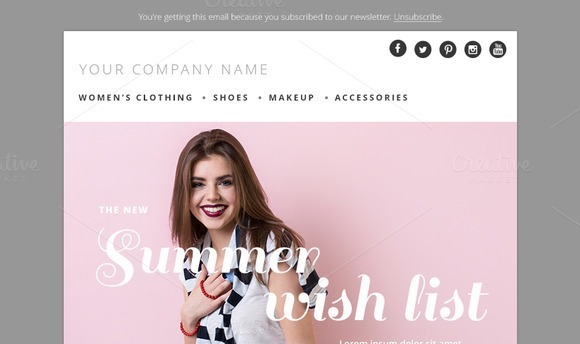 This fashion email template is clean and classy. 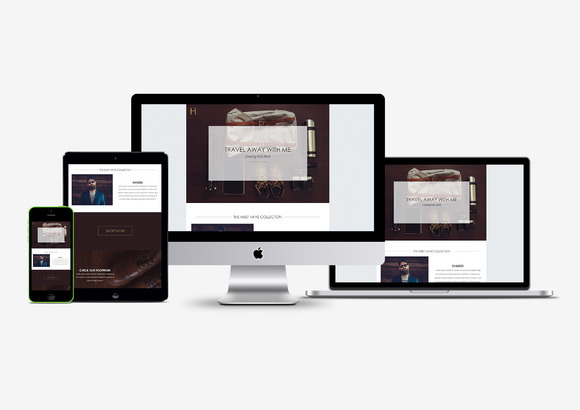 Use this template to showcase your upcoming collections or even use it for your fashion blog. This template is in PSD (Photoshop) format ONLY. 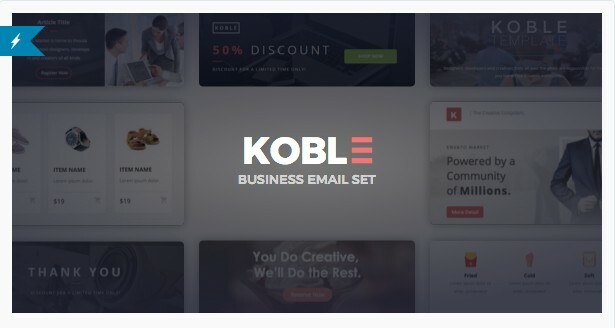 Koble responsive email template for multi-purpose usage cover up a large number of newsletter types It contain more than 115 unique modules which offer you great variety of layout options. 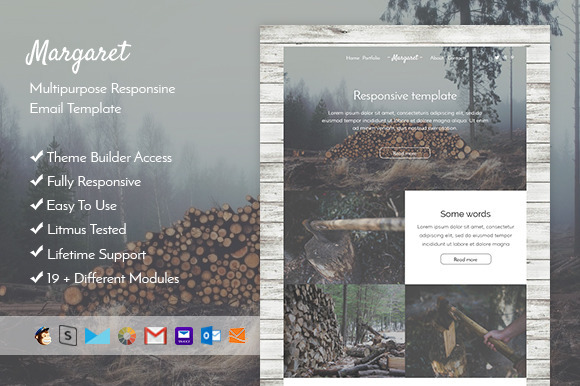 Reflect email template is simple, beautiful and suitable for corporate, blogging, creative, and general purpose. SneakerLover email template is hip and fresh. Use this template to showcase your shoe updates or let your subscribers know when you have a sale. This template is in PSD (Photoshop) format ONLY. 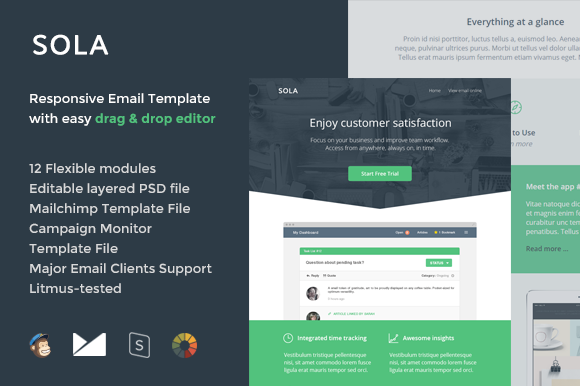 Sola is a fully responsive and multipurpose email template, with a genuine top part, designed with touch screens in mind and inviting user to “scroll / touch” down at first sight while reading. 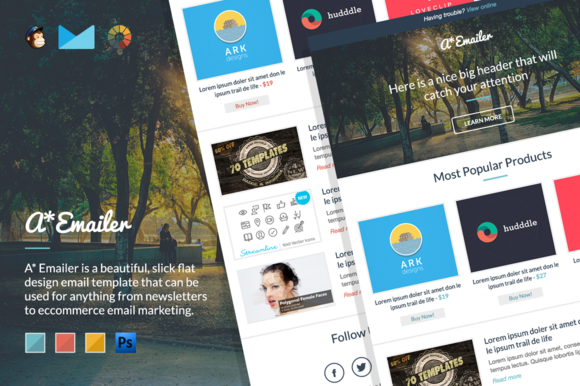 Want to take your e-mail newsletter blasts to the next level? 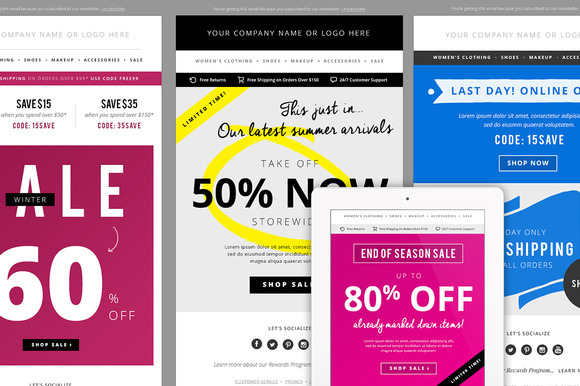 This professional, fashionable and classic e-mail newsletter blast is perfect for e-commerce boutiques that want a strong e-mail marketing presence. 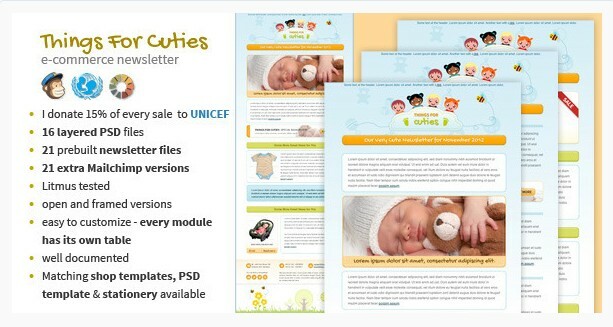 This PSD document is fully editable — feel free to change fonts, layout and colours to suit your store’s branding. 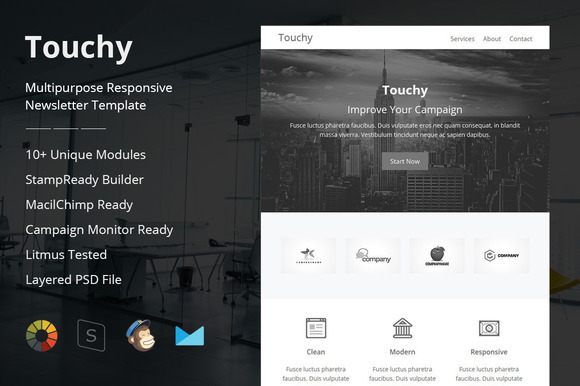 Touchy- Multipurpose responsive email template is suitable for Mobile App, business,corporate, office, creative and general purpose. 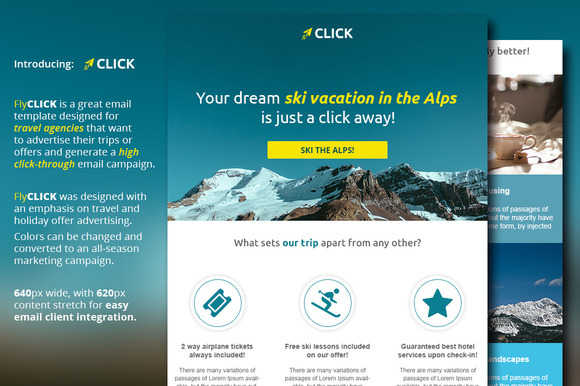 It’s been designed with an emphasis on travel and holiday advertising, but it could very well be transformed into anything else you might need, swap out the pictures and you can just as well create an e-blast for various services you might be offering. 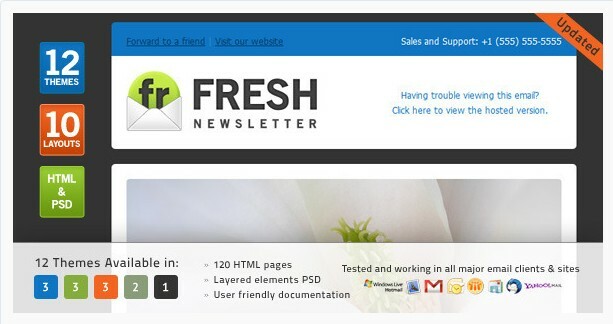 You can also change the colors and images to transform it into a summer/spring themed newsletter. 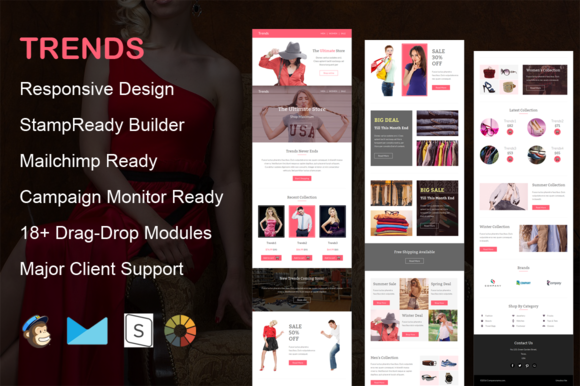 Trends – Multipurpose responsive email template is suitable for Shopping, Fashion, Trends, eCommerce, Creative and general purpose. 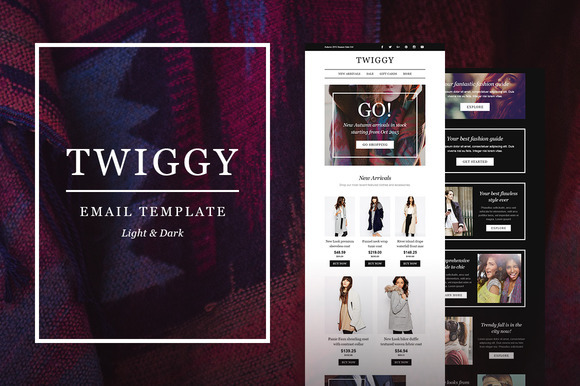 Twiggy – Fashion E-Newsletter Template is a high-quality designed e-commerce e-newsletter template with the coolest hipster and vintage style built for fashion, stores, blog, advertisement, Webshops and E-commerce, campaigns to promote your fashion shop or media.